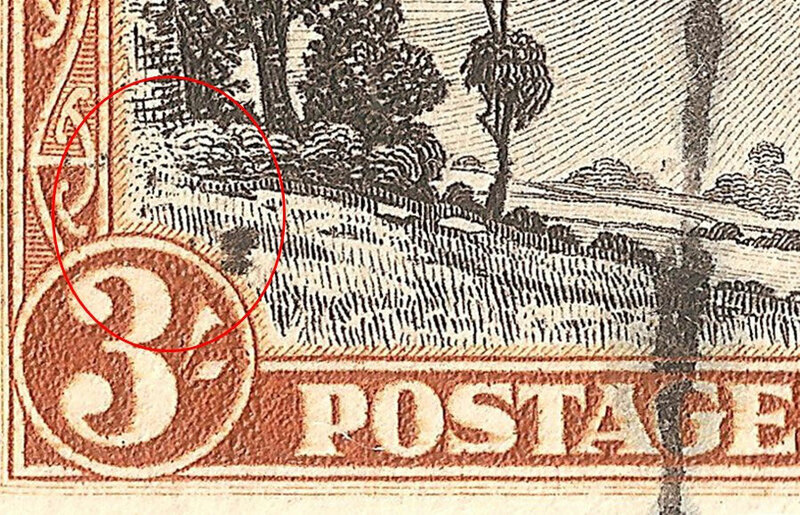 R 2/2 Flaw on spur in central background trees, found in all the printings. 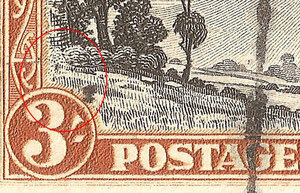 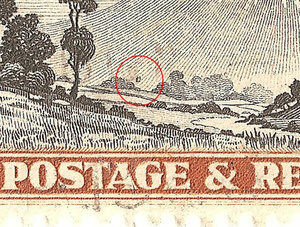 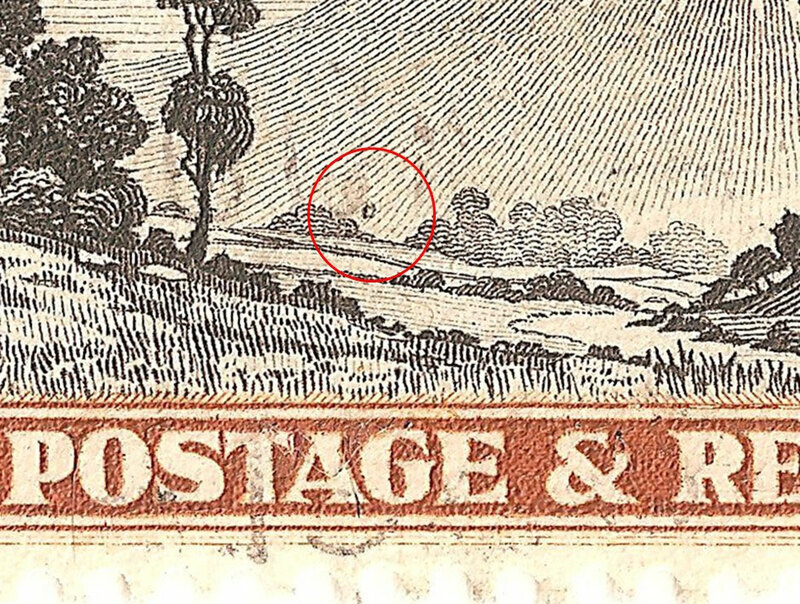 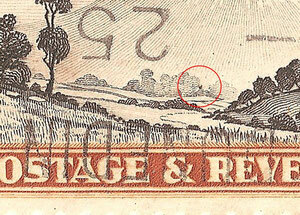 R 2/3 Stage one of flaw shows as dot above trees.Found in all printings. 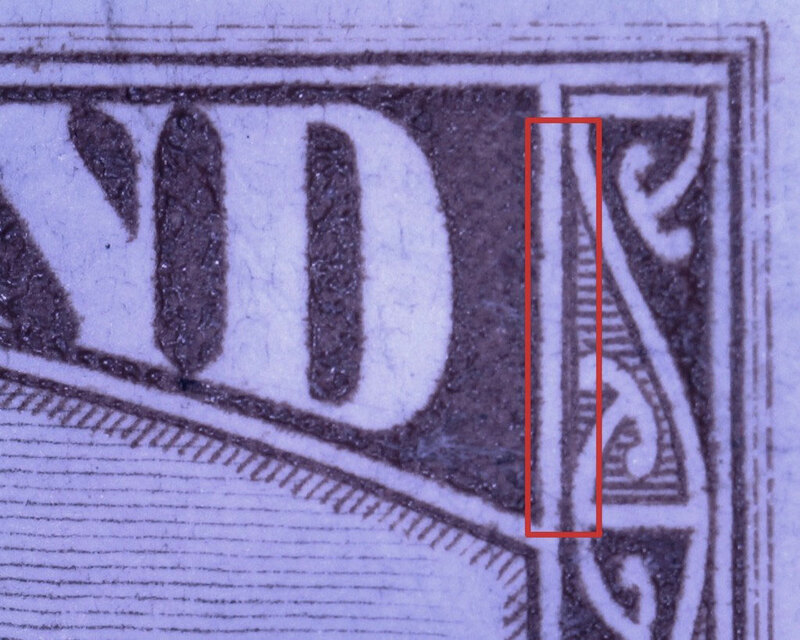 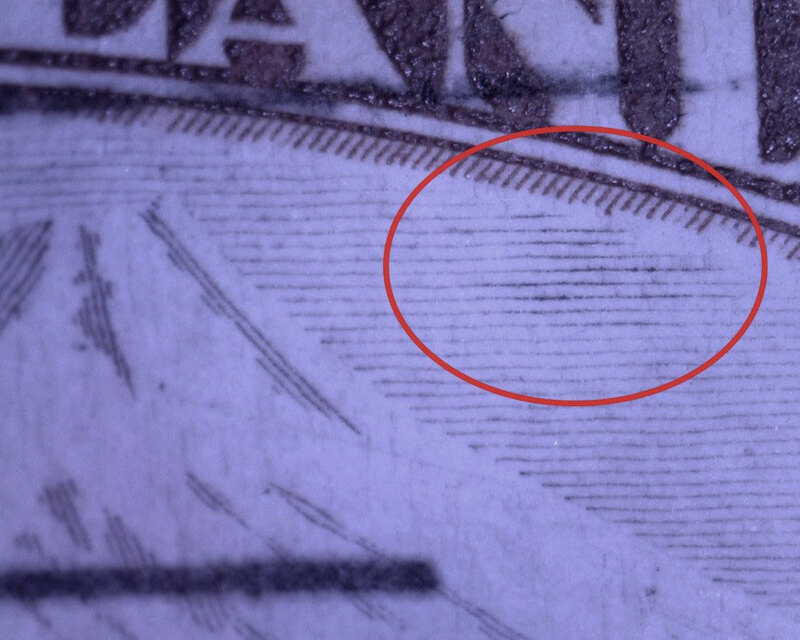 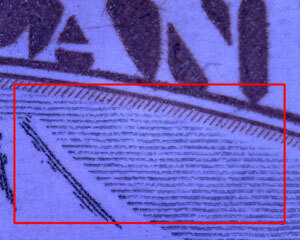 R 2/3 second state of flaw shows as dots and marks above the value tablet on left.